Brothers Costas and Stelios Kentros started Blind Race as a need to express their beliefs and spirituality through music. 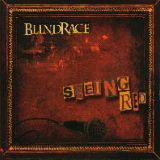 Vocalist Tommy Geraldes was brought in to bring a voice to their musical ideas and recently bassist George Ceron was added to the line-up to complete Blind Race; setting them up for a run of live dates in and around the Toronto area. Guitarist Costas Kentros is the mastermind behind this band; being the principle song writer, engineer, producer, as well as playing all guitar and bass parts for their first full length album, Seeing Red. Musically, Blind Race is a bit of a paradox. On one hand you have a very heavy 90's grunge era sound with some screaming harsh vocals and on the other hand, they offer up some very tasteful and emotional acoustic based songs. Blending classic Soundgarden and Alice In Chains overtones with modern aggression, Blind Race really is a throw back to days gone by. Tracks like the title track, Seeing Red and Inside Of Me show the stylings of the flannel shirt and Doc Martins era using a mix of chunky riffs, a very abstract feel and weird vocal effects that sometimes drift into death metal territory with the scowls and screams. Heavier and chunky "metal" styled tracks include Retaliate, Looking Down On Me and Grave that make great use of the drop D tuning for added heaviness. Cryptic Confession mixes flamenco acoustic guitar work with heavy Wah driven and doomy hypnotic riffs and an Eastern Tea Party like vibe. In fact, several tracks on this album remind me of some of the heavier Tea Party material with Tommy Geraldes also having Jeff Martin like qualities to his voice. A tribute to Dimebag Darrell is included with the track Cold As Death that sees an acoustically drive track slowly build to get heavy and angry by song's end. Several tracks on this album are largely acoustic based and really fly in the face of the rest of the material. Despite the stark contrast with the rest of the album, they have a strong grasp on that sort of material. Wait blends acoustic guitar with some nice Wah guitar leads in a track that has the passion and feel of Lane Staley era Alice In Chains. You Made Me Feel takes on power ballad qualities with a mix of acoustic and heavy guitar with emotional Jeff Martin influenced vocals by Tommy Geraldes.